The United States Mint has struck a limited series of 24k one-ounce gold coins featuring high-relief strikes. The first of these, struck in 2009, replicates the August Saint-Gaudens design of a striding Liberty as seen on the gold double eagle from 1907 through 1933. This 2009 striking was extremely popular and helped inspire the creation of other Ultra High Relief gold coins featuring Miss Liberty. 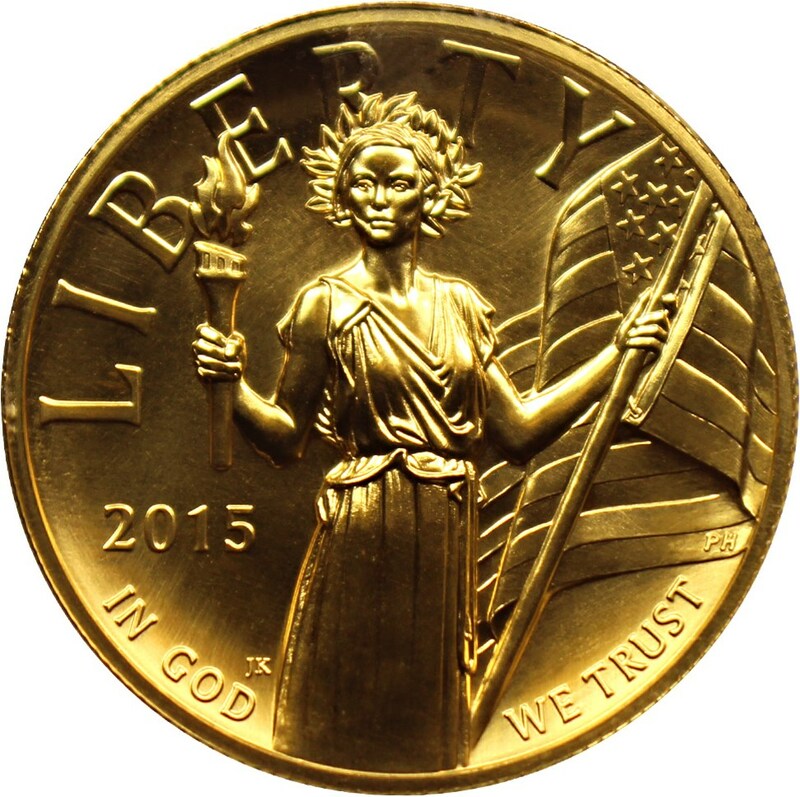 The second high-relief gold coin came in 2015 and showcases a contemporary design of Miss Liberty holding in her right hand a lit torch and in her left hand a flag pole with the American flag flapping in the wind. The Ultra High-Relief gold coins have been issued in a variety of finishes, including proof like, uncirculated, and proof.